Applications open for the Sub- Saharan Africa Scholarship for the Summer School Planning and Design with Water at the Faculty of Architecture and the Built Environment of the TU Delft, in the Netherlands. You have to follow the instructions carefully in order to apply for the scholarship. If you fail to deliver one of the items requested, we will not be able to take your candidacy into account. A plane ticket between your country of origin and Amsterdam and back. The ticket will be organised and bought by TU Delft upon selection of the candidate and the granting of a Dutch visa. A small amount of pocket money, enough for food and transport during 20 days in the Netherlands. Any extra costs incurring from your stay (trips, transfers or other activities not included in the Summer School programme). Why do you want to participate in the summer school? How will the summer school help your education and future professional life? What are the main challenges for your city in the 21st century? How do you see your own role in tackling those challenges? How do you see the role of spatial planners or designers in the future of our cities and in society? What’s the role of spatial planners, architects and other professionals in our world in turmoil? * Don’t forget to include your full name, contact details, school you re attending and the name of your course at the top of the letter. Remember, we will also assess your level of proficiency in English through this letter, so it is important that your English is correct and clear. Put all your materials in a digital folder titled with your NAME+AFRICA (you can compress the files if they are too big), a short note explaining what the email is about, and send the file to Summer School BK TU Delft (summerschool-bk@tudelft.nl ) via the website https://wetransfer.com until APRIL 15 2018. Please write “SUB-SAHARAN AFRICA Scholarship” in the subject field. You will receive a notification. Fill in the form below carefully, and don’t forget to mark the option “Sub-Saharan African Scholarship”. If wetransfer.com doesn’t work in your country, please make a ZIP file and transfer it to the address above. This is the scholarship for the SUMMER SCHOOL PLANNING and DESIGN WITH WATER. 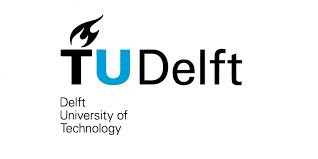 TU DELFT has other scholarships for Sub-Saharan Africa for students to attend our MASTER COURSES.